Steve and Ann Mayes are natives of Mississippi. Steve is from the small town of Lake and Ann is from the neighboring town of Newton. They were married in June 1989 in Newton. At that time Steve worked as a bridge inspector and bridge repair superintendent for the Mississippi State Highway Department while Ann served as an elementary school teacher at Newton County Academy in Decatur, Mississippi. Just one year after their wedding, Steve accepted God’s call into ministry. 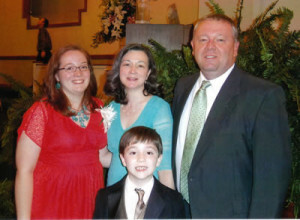 After doing pulpit supply for several months, Steve was called as interim pastor and eventually as pastor of a Baptist church near Union, Mississippi (1991-1993). While serving there, their first child Beth was born in 1992. Steve earned his Bachelor of Arts degree in Religion at William Carey College in Hattiesburg, Mississippi in May 1993. In the summer of 1993, the Mayes family moved to Birmingham, Alabama for Steve to begin seminary work at Beeson Divinity School. In July 1994 Steve was called as pastor of a Baptist church in Jacksonville, Alabama and served there until the fall of 1998. 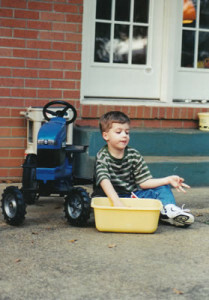 While in Jacksonville their second child Ben was born in 1996. Steve received his Master of Divinity degree in May 1997. In October 1998, the family moved back to Mississippi in anticipation of Steve’s pursuit of a doctoral degree. Those plans changed in May 1999 when Ben was diagnosed with a brain tumor which affected his optic nerve and caused him to be blind. As a patient at St. Jude Children’s Research Hospital, Ben underwent chemotherapy for a year and a major brain surgery to remove portions of the tumor. 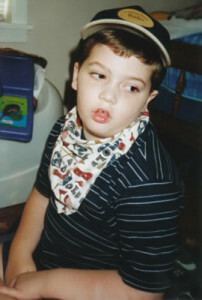 Ben’s fight against cancer ended in July 2005 as he went home to be with his Lord. To the right are a couple of pictures of Ben. Steve was called as the pastor of a Baptist church in central Mississippi in 2001. In June 2005, Steve and Ann welcomed their third child, Timothy. After serving six and a half years at this church, Steve resigned in October 2007 in order to move to Jacksonville, Alabama to pursue a PCA church plant there. After moving to Jacksonville, Steve worked for about six months with Kraft Foods and then for approximately a year for Alacare Home Health and Hospice as a hospice chaplain. In May 2009, he began working full time as a church planter in Jacksonville.